Oh sure, Nov. 28 will be a special occasion for the ‘Tween Waters Inn. 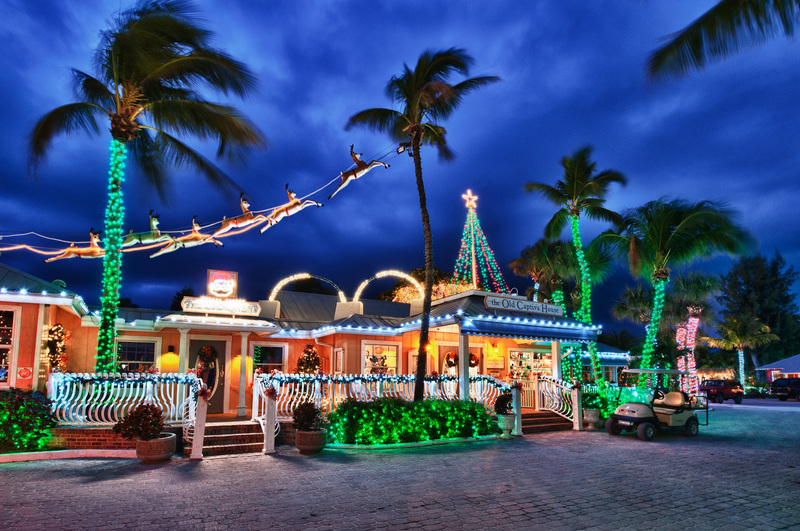 For 2014, it’s the date on which the resort’s tree lighting ceremony takes place, meaning thousands of locals and visitors will be on hand to witness the kickoff of what’s become annual must-see event. But while all those folks are enjoying the splendor and walking off their Thanksgiving Day dinner table indulgences, don’t be surprised if Jeff Shuff, Angie Lapi and some of their pals are off somewhere trying to grab a nap. Shuff, you see, is not just the resort’s chief financial officer; and Lapi isn’t just the wife of resort CEO Tony Lapi. The two also combine with maintenance and grounds personnel to work behind the twinkling scenes and make sure the 50,000 or so LED bulbs do what they’re supposed to do when the time comes to flick the switch. It’s that blend of job and adventure that compelled ‘Tween Waters’ assistant general manager, Natasha Grass, to let me in on exactly what goes into the bash. Indeed, it’s a cadre of about 15 resort employees whose work for the 2014 show began the day after last year’s event ended. They took down the lights and stored them on site, then retrieved them to restart the process on Nov. 1 – a day less than four weeks from show time. Individual bulbs are replaced as needed throughout the run-up, and a single system test is run daily until the day of the event, when six run-throughs are executed to minimize the likelihood of malfunction. This year’s show will begin at 5 p.m., though Grass suggested arrivals at or after that time will necessitate parking off property and having to take a trolley back to the resort grounds. The lights will go on shortly after sunset—around 5:45 p.m.—and will be accompanied by a fireworks display that’ll last about 20 minutes. Free popcorn, hot chocolate and an outdoor bar service are among the visitor perks, along with a visit from Santa Claus and candy canes for the kids. By all accounts, it’s an experience not to be missed. But if you do come out and you happen to notice a few tired folks catching a few winks somewhere on the property, try to tip-toe past them quietly. After all, it’s been a busy month… and they surely could use a rest.